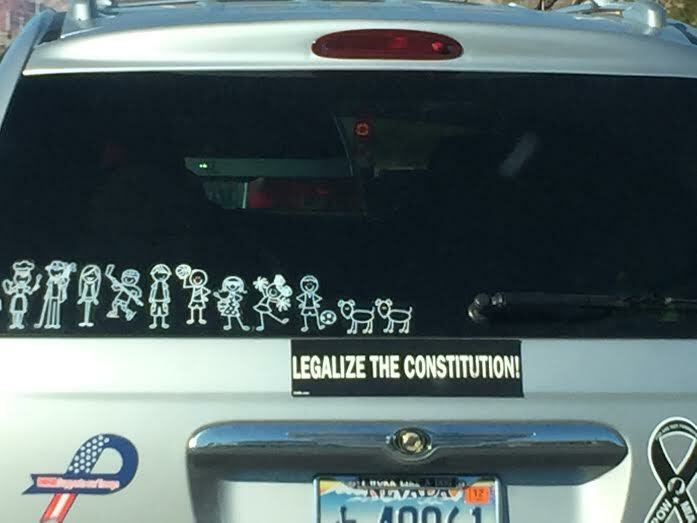 Isn’t it so nice that we have people who drive around with these nauseating stick figures on their car bragging that unfettered reproduction is something to be proud of? Usually this is also accompanied by a Romney-Ryan bumper sticker, and some other indicator that these are people who have limitless love for the Lord. You’re probably wondering what “Legalize The Constitution” means, right? I’ll tell you. It means the driver of this vehicle is a racist, ignorant bigot who feels a black president is illegitimate and the fact that he’s a Constitutional Law EXPERT means nothing. Oh, and support the troops by sending them to illegal wars. Damn! It’s very frustrating living among the Teabags. h/t @mytinyurl for the pic! If Your God Is Better Than Their God, Is Peace Even Possible? 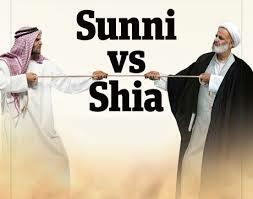 “There is not a history of clashes that are violent between Sunnis and Shi’as so I think they can probably get along”. Never have a group of people gotten things so wrong on EVERY issue and yet their opinion is sought for “news” programs. It’s astonishing. They invaded a country with no consideration for consequences, cost, loss of human life or a basic understanding of the complex history of the region. 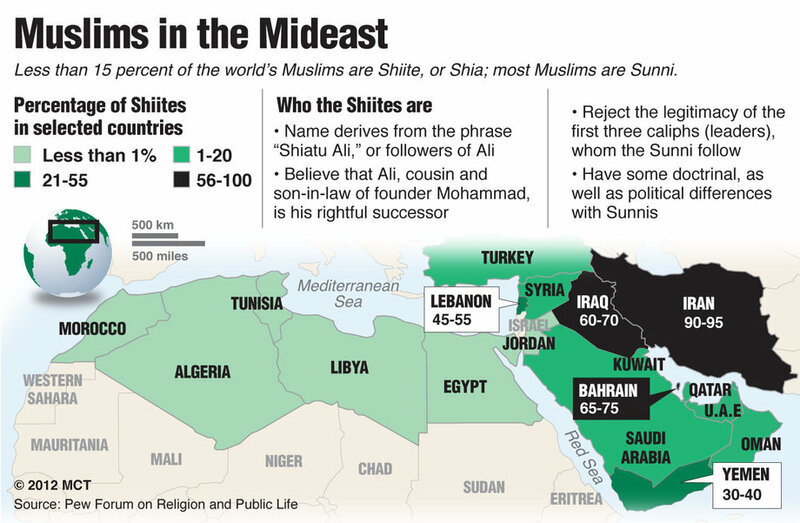 Let me try to elucidate the difference between Sunni and Shi’ite Muslims. The Sunni branch believes that the first four caliphs–Mohammed’s successors–rightfully took his place as the leaders of Muslims. They recognize the heirs of the four caliphs as legitimate religious leaders. These heirs ruled continuously in the Arab world until the break-up of the Ottoman Empire following the end of the First World War. We keep on being told that religion, whatever its imperfections, at least instills morality. On every side, there is conclusive evidence that the contrary is the case and that faith causes people to be more mean, more selfish, and perhaps above all, more stupid. Perhaps, some day man will understand much of the world’s injustices, abuses and atrocities are carried out because one group believes their god is better than the other group’s deity. Most importantly, one must understand religious differences do exist and potential volatility is inevitable if these differences are not understood. The politics of the Middle East has been exploited by the petrol-pushers, affecting people of all religions. The plutocrats knowingly tap into, inflate, and take advantage of the masses’ religious beliefs for their own hidden, greedy purposes. Generally, the “believers” don’t even have a clue of how they’re being used, naïvely thinking that they are fulfilling the will of “Allah” or “Yahweh” while the corporate oligarchs line their pockets. As stated previously, I do not subscribe to the idea of an omnipotent, omniscient and omnipresent deity. The motives behind the formation of the current nation of Israel are always assumed to be religious freedom and are never questioned here in America. Our ally is always held in high regard because Americans see it as the quintessential religious epicenter, even though we allegedly separate “church and state.” There is a lingering question I have with regards to Israel, many theists would find this the greatest form of disrespect, but I must ask: if a group of people assert that their right to possess a piece of land was bestowed upon them by a fictional deity… isn’t the right itself fictional? The Jews, persecuted for their faith historically, deserve a homeland free from religious persecution, as do ALL human beings. But truly, why there? Why settle in the a land in the midst of so many Muslims who will never peacefully coexist? Perhaps Israel is not situated in its historically volatile location because of the spiritual significance of the land. The economic value of its location is far more paramount. We should acknowledge that man has always perpetrated the fallacy the almighty dollar is interchangeable with the will of the “Almighty.” Money and petroleum have fueled Israel since its inception. Multinational corporations have supported a warmongering Israeli government (much like our very own US Military Industrial Complex) to monitor and put a check on all the oil-producing nations of the Middle East. The ruse of Jewish or Islamic nationalism is a front for the profit to be made off the natural resources, which are far from infinite. John Perkins, Author of Economic Hit Men, saw exactly how the international financial industry made obscene fortunes: the population is exploited and saddled with deficits while a very small group profits. The growth of Gross National Product may result even when it profits only one person, such as an individual who owns a utility company, while the majority of the population is burdened with debt. He said, “the United States is a nation laboring to deny the truth about its imperialist role in the world.” He quit his work as a liaison for the IMF, and other global financial institutions in the 1980’s because morally and ethically, he felt it was wrong to play such a key role in creating world empire at the expense of the less advantaged. He understood Israel’s strategic significance as a watchdog over the oil producing nations, no matter how difficult such a position will be for the citizens of both Israel and the neighboring nations. It serves international plutocrats very well to stir up trouble in the region. The war business is very profitable. Constant conflict with Iran seems to drive Israeli, American and Saudi Arabian policy. Just this week, President Obama and Secretary of State Kerry, through diplomatic means, were able to put a check on the Iranian nuclear program. Much to the dismay of the hard-line Right Israeli and U.S. politicians, President Obama’s team succeeded diplomatically and the administration was only panned for their success. If such a feat was accomplished by the Bush Administration, the media would herald it as the greatest diplomatic success in history. But President Obama is not AIPAC’s guy. He wants to harbor peace in the region, unlike his predecessor. War is the only acceptable option according to the pro-Israel lobby, who favor the more hawkish U.S. Representatives. 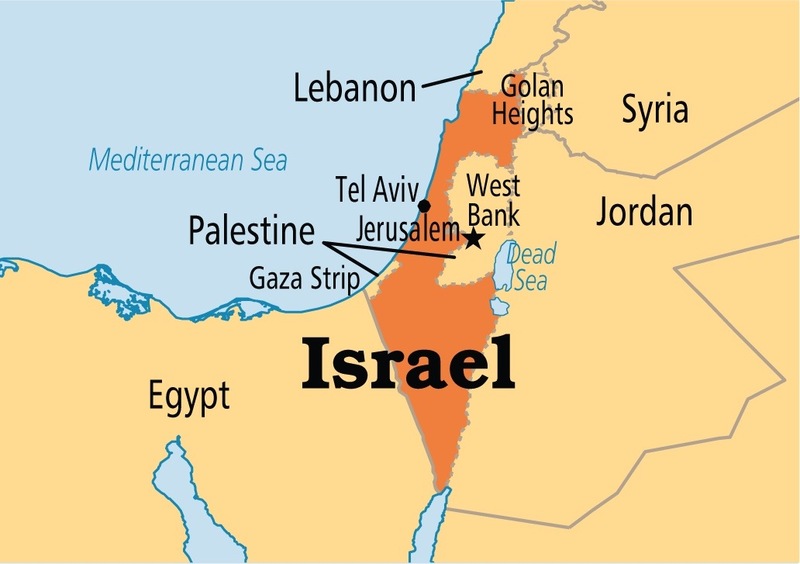 Make no mistake, Israel is where it is and who it is not simply for religious reasons, but for its strategic location as an installation base to keep Western eyes on a region rich in the fuel we are dependent upon. The dependency of our country on fossil fuels is another matter entirely, as production of renewables has been discouraged by those who profit from petroleum. Some day, we will run out of oil and all this will change. But for now, we are guaranteed a bloody fight for what powers our lives. We Americans are equally stupid to not see through the façade and just keep filling up at the gas pump. What about our so-called political leaders? Mere puppets who were bought off with campaign donations long ago, and thus whose strings the oligarchs are yanking. Is Religion Leading America to the Dark Ages (or have we never left)? “Religion is the opiate of the masses,” Karl Marx said, and how right he was. 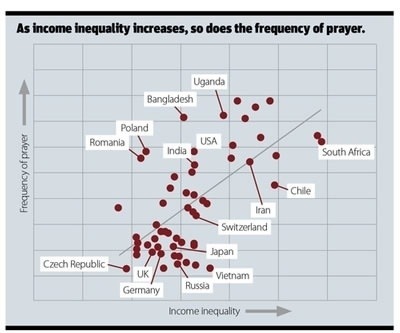 Studies have shown as income inequality increases, so does the frequency of prayer. The more religious a society, the more accepting of fictional justifications commonly espoused by a particular faith that allow a population to accept unacceptable socioeconomic disparities. The United States, contrary to its status as the pioneers of science, is disproportionately preoccupied with an imaginary friend than its European or Australian colleagues. We are also living with income disparity levels not seen in America since 1774! There is significant evidence this has been detrimental to our development as a nation, our pursuit of happiness as well as perpetuating the culture of constant war and foreign occupation that has irreversibly scarred the USA. We are far too religious for our own good. 3. The culture of war fostered by religion and the military. Medical science has shown the hippocampus is the part of the brain involved in memory forming, organizing, and storing. The more one learns about the world, the less mysterious it becomes and one is less likely to accept oversimplified “god did it” type answers. My ability to differentiate between a creationist tale of my world versus the scientific facts of its real age (the biblical 10,000 years over the actual age of 4.6 billion years) may have stifled my scientific potential. I refer to a study of hippocampus atrophy in adults over fifty-eight with a focus on Life Changing Religious Experiences as a variable. With increased religiosity one observes a decrease in the function of the hippocampus. It seems watching the 700 Club can be hazardous to your health. I am guilty of perpetuating this mythology on my own children, as it is inescapable in our society. My youngest goes to preschool where they learn about Christmas and Santa, which doesn’t bother me one bit. Sadly, I have resorted to using the ‘Santa Claus is watching you’ threat on my toddler to keep him in line, and this is probably not much different than telling a child god or big brother is watching you. It’s as if you are selecting which myths your child should believe and for how long, which is no different than cherry-picking which parts of the bible you feel are veracious. The victims of childhood indoctrination have a hard time knowing which parts of the Bible they should accept as literally true and which are merely allegorical and not to be taken literally. For example, if one rejects the account in Genesis of a six-day creation, and the account of the lives of the descendants of Adam and Eve to Noah and beyond, upon which the claimed young age of earth is based, why does one not also reject the account of original sin, the fall of Man and of the need for forgiveness and redemption upon which the entire Christian faith depends and upon which the entire rationale for Jesus’s sacrifice is supposedly based? What in these stories distinguishes one from the other with sufficient reason to reject one and accept the other? It’s nice to believe in fantasy and to encourage imagination, but living life with the lack of true rationality may just make us less happy. The available rankings of the world’s happiest nations actually strengthens this correlation between a more rational society and a more satisfied populace. When you have a nation who believes that the only way to salvation is for the country to revert back to the teachings of the Old Testament and this must be added to the Constitution, we are indeed in trouble. Too much fear and hate is perpetuated by many of these groups claiming to represent Christ and promoting this kind of nonsense is only detrimental to a society’s progress. Our government’s dominance by the Moral Majority and the Faith Based Initiative have kept our civil rights at levels far less evolved than many other western democracies. The United States military, the most expensive and largest on earth has an unusually anti-secular attitude. Mikey Weinstein, a graduate of the US Air Force Academy and head of the Military Religious Freedom Foundation, says “mandated religion has no place within the technologically most lethal creation of the US government.” A survey commissioned by the Air Force Academy in 2010 showed some improvements in the climate of religious tolerance on campus, but also found that many cadets still felt pressured to take part in religious activities. Nearly half of the non-Christian cadets surveyed, for example, said their fellow students have a “low tolerance” for atheists, a 20 percent jump from a similar 2008 survey. This came on the heels of reports that Air Force missileers were receiving Bible-centered ethics training, with the aim of helping them shake off lingering doubts about firing nuclear weapons. The training – which had been in place for almost two decades and was known jokingly among the airmen as “Jesus loves nukes” – was halted in 2011. God and country is a big part of the military culture, as anytime there’s a ceremony of any type, there’s always prayer. The most fundamentalist chaplains are often selected to lead prayer with military groups. A motivational pastor from the Central Christian Church in Las Vegas, Raymond Giunta, 47 led a prayer breakfast at the Pentagon in early December. Turns out this is the same Pastor Giunta who was found to have taken more than $10,200 in cemetery trust funds intended for graveyard upkeep while he worked as the director of the California Cemetery Board in the mid-1990’s. Fundamentalist “Pentacostal” religion seems to dominate the military, and it went up all the way to General Petraeus. General David Petraeus, recently disgraced, is a very “spiritual” military leader. He heavily pushed the concept of Spiritual Fitness Tests, Spiritual Fitness Concerts and Spiritual Fitness Centers and spared no expense attracting Christian Fundamentalist performers. Funny how that whole holier than thou thing worked out for him, isn’t it? I find it rather interesting how the military has perverted the message of Christ to mean we should take over any part of the world we desire, especially those parts that believe in a different god than Jesus. Without the fallacy of this religiosity, the military would probably not be able to sell its barbaric message to so many in the Military Industrial Complex, namely the United States Congress who funds it so very generously. It’s a personal decision to believe what one chooses to believe. However when that belief is forced upon a society in one way or another, it seems it can only create a culture that mirrors the devolution of Medieval Europe, replete with all the inequality, brutality and intolerance that comes with the mandated belief in the unproven. Constitutionally, we’re a society which allows for religion, not a religion that allows for society. In 1988, America was #1 in “where to be born” list. Now it is joint 16th. It would be nice if religion could be considered a factor in our diminished status. These cults have some very clear similarities that classify them, by definition, as a cult. One of these is: the group is elitist, claiming a special, exalted status for itself, its leader(s), and members (for example: the leader is considered the Messiah or an avatar; the group and/or the leader has a special mission to save humanity). 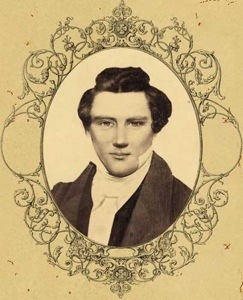 Joseph Smith, in starting his Mormon Church of Latter Day Saints, proclaimed he was a direct descendant of Jesus and his followers can become gods themselves, replete with their own worlds to rule with a plethora of wives. He urged followers to take up arms against the U.S. militia and died as a “martyr”. 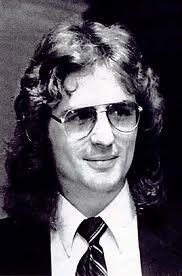 Branch Davidian leader David Koresh proclaimed messiah status in 1990 when he changed his name from Timothy Howell and strongly favored polygamy for himself and also dealt in illegal firearms. People’s Temple cult leader James Jones proclaimed exalted status where members even signed over custody of their children to Jones. All three men proclaimed a sense of divinity and demanded allegiance through intimidation and threats towards their followers. All three led their followers to an untimely, violent death in defense of the cult and its leaders. My primary issue with the Mormon candidate, Mitt Romney is, how can he believe the fallacious assertions made by Joseph Smith as veritable and still be considered a logical human being, let alone a candidate for president if he’s a devout follower of such cultish nonsense? In my opinion, all religions have fantastical notions but usually, have some fairly valid historical premises, based on love and inclusion essentially. The Mormon cult is another case altogether. Everything about the history of this religion has categorically been proven false by scientific evidence. Joseph Smith was a magnanimous megalomaniac with a penchant for drama. A church without theater wouldn’t last long, Smith believed. The ritualistic nature of Temple Endowment Ceremonies, for instance, show a unique interpretation of the Masonic rites they were modeled after. People need the fantasy, the performance and the mystery, which Smith provided in his founding of a new church—rife with rituals, stories of travel from faraway lands and theatrical acts of mystical translations that are at the core of the church’s history. A new “gospel” is easier to sell with the extravagant pomp, circumstance and surreptitiousness of the Mormon Church. The utterly violent and devastating end to both the Branch Davidians and the Guyana Settlement at Jonestown are eerily similar to Brigham Young ordering non-LDS settlers to be slaughtered in the Mountain Meadows Massacre. A cult that will kill with the intention of protecting its interests and the secrecy of its faith should be considered suspect. Moreover, the incident remains buried in political turmoil, even to this day, and was a media sensation for more than 20 years after it happened. Most Mormons know nothing of the original 9/11 and they’d like to keep it that way. Another technique used by cults is to discourage the acquisition of information and to keep the indoctrinated firmly rooted in the faith. A recent ploy used by LDS hierarchy to keep its young cult members in the dark is the lowering of the age of missionary service to 18 (from 19). Years of indoctrination and brainwashing could easily be lost with a year spent at a liberal arts college, so LDS President Monson and Company aren’t taking any chances. They are reluctant to lose any potential tithing members who will perpetually contribute 10% of their net worth to the post mortem afterlife insurance policy. It is absolutely amazing how many people buy into this fraud, yet it is far more terrifying for our President to subscribe to this nonsense. End Times predictions abound in cults, the Mormons being no exception. Gun ownership is certainly encouraged. The Mormon Church owns one of the most active and unregulated gun sale portals on the web, according to a national investigation released by the New York City Mayor’s office. The website in question is KSL.com, the online hub for Utah’s NBC affiliate and sister radio station, which are both owned and operated by the for-profit arm of the Mormon Church. In addition to local news, KSL.com produces a popular classifieds section that reaches millions of users well beyond Utah. 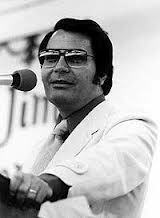 Jim Jones’ murdering of Congressman Leo Ryan in 1978, the mass suicide and the fiery Branch Davidian siege in 1993 remind us of the drastic measures cult leaders and their followers will resort to if they feel threatened. Anyone can say that all religions have cultish characteristics, and, to a degree, they’d be right. But for a religion, in this era of technology and information, to assert such provably false claims as veracious is preposterous. 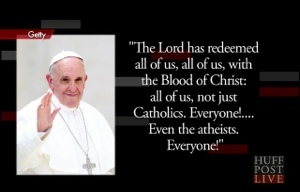 Jesus Christ was a figure who preached peace, tolerance and acceptance. The Mormon Church, like others cults, has a history of violence, exclusion and bigotry, no matter how much they try to hide the facts. It is certainly not a faith which should supercede the United States Constitution by the Leader of the Free World.